this tab will take you back to where you left off. Victor is no longer with us, however we are still a close family. 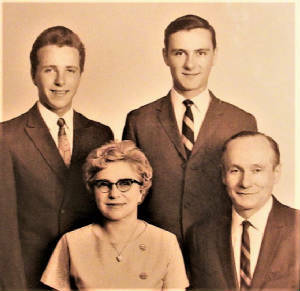 He is survived by eight grandchildren, our mother Luigina, Robert and I, and we are looking forward to embrace Victor once again on the day of his Resurrection, which is the Christian belief which was very dear to him. 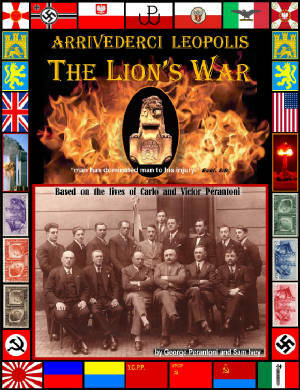 See Victor's 1992 presentation in Winter Park (FL) with George. 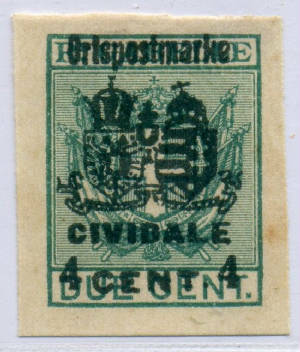 18 sets of four stamps each (complete series of 72 stamps) in order to commemorate the 18 towns they had recently won in battle. 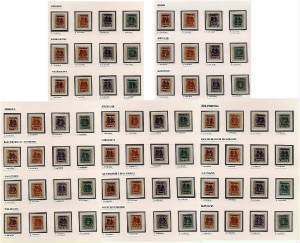 He created stamps using local matchbook tax seals overprinted as "Ortspostmarke." 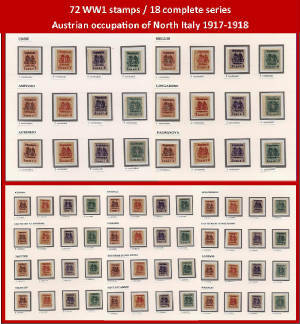 of WW1, Covasech became President of the Lwów Stamp Club and struck a friendship with Victor Perantoni who traded Italian stamps for these eighteen rare sets of provisional stamps. Each clip displays the chapter title of the sequel clip for its continuation. 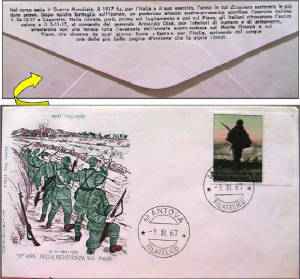 SEE the entire 36-minute video directly from YOU-TUBE. 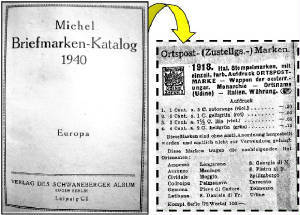 Mentioned in clip #13, the image on left (below) shows the last catalog listing in Michel 1940 that Lieutenant Covasech's rare 72-stamp creation had been published prior to the height of WWII. 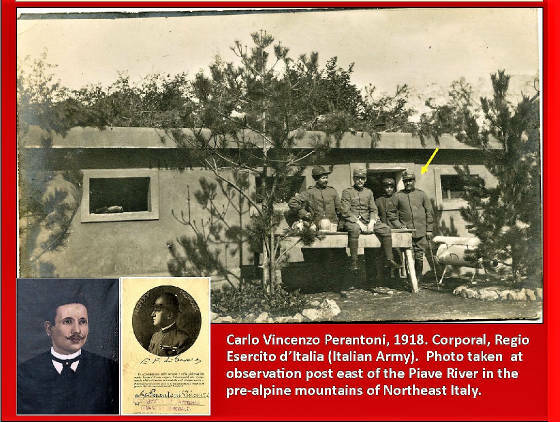 About 70 years later, facilitated by modern technology, the Lieutenant's creation began to reappear in 21st-century catalogs as depicted in the extracted image from Sassone-2014 on right. 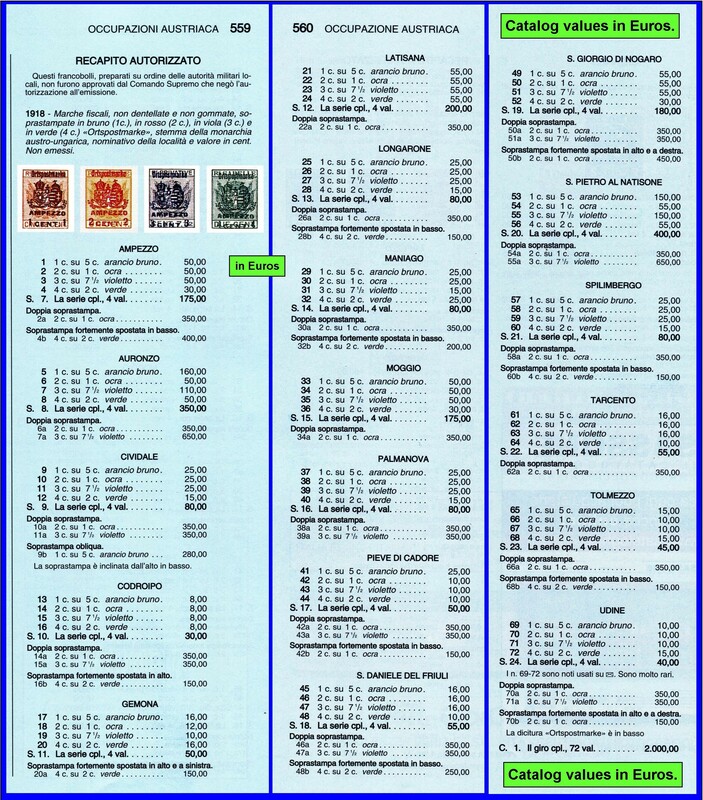 Victor Perantoni would've been very happy to have seen his 72 tax-seal stamps listed once again in today's catalogs. 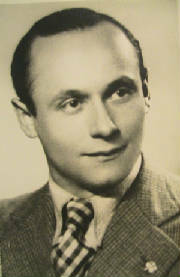 Sadly, Victor passed away in 2002. Click here for a direct link to the Microsoft Download Center if you are not able to open or view these movie clips. Upgrade to Windows Media Player 10 or other compatible video programs such as Quicktime for Windows Media. CLICK HERE for our Social Media Links!